The 2017 list of fears clearly reflects political unrest and uncertainty in the wake of Donald Trump’s election as president. The Chapman University Survey of American Fears Wave 4 (2017) provides an in-depth examination into the fears of average Americans. 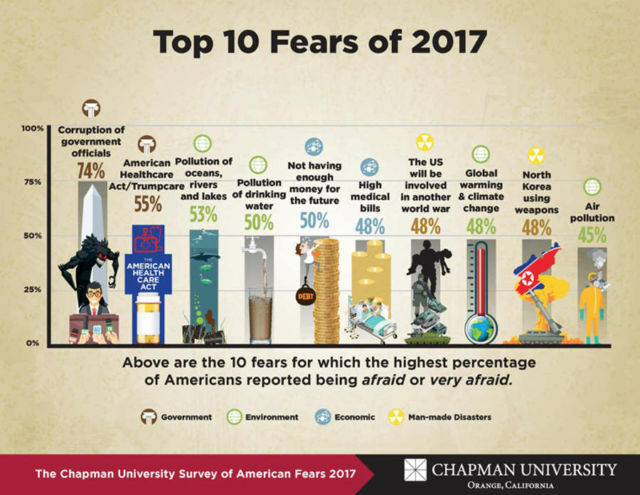 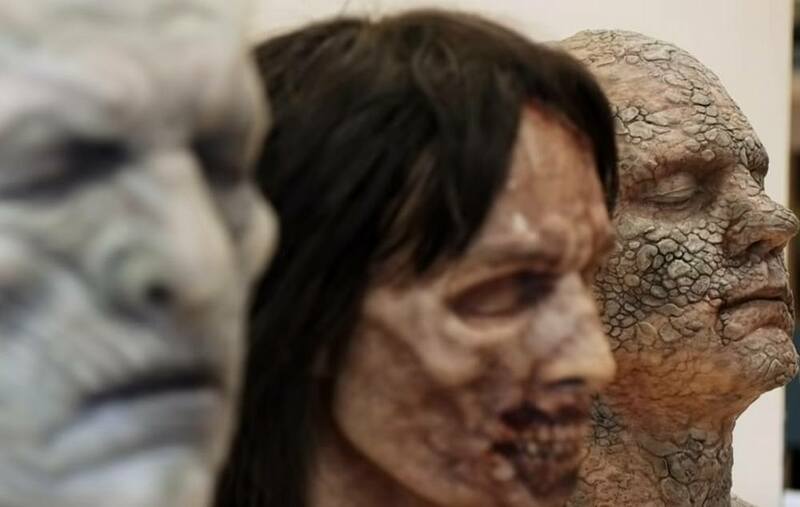 A random sample of 1,207 adults from across the United States were asked their level of fear about eighty different fears across a huge variety of topics ranging from crime, the government, the environment, disasters, personal anxieties, technology and many others.